The Lao film-making community is experiencing a surge in recent years as more and more members of the community aspire to tell their stories. There are still many barriers in place, even as the price of technology decreases and instruction is more readily available. It takes more than pointing a video camera at pair of people at table yapping to make a movie, and Lao are increasingly pushing themselves to discover the possibilities within their artistic voices. But where will it go? 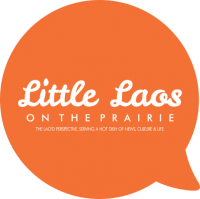 Little Laos on the Prairie spoke recently with Nakhone Keodara, the screenwriter, producer and director of Roses & Red Ants. A student at Santa Monica College (SMC) majoring in Film and Television Production, he recently completed directing a short film Black Swan: an adaption from a scene of the original movie of the same name for his Film 32 Class. Keodara is co-producing (and will direct) a short gay drama (based on his true story) titled When I Close My Eyes about Seth and Jorge; two star-crossed lovers whose lives are forever changed–due to anti-gay laws–when a tragic car accident tears their family apart. Nakhone presented his film Roses & Red Ants at the 4th International Lao Studies Conference sponsored by the University of Wisconsin-Madison and the Center for Lao Studies. Roses & Red Ants documentary is a research project for a historical epic Frog Eats Moon about the fall of Laos that he is currently writing. He recently completed writing his first feature film script about a new type of “Beauty and the Beast”–the gay “Pretty Woman” with a little something extra–titled Lady/boy that is in pre-production; He intends to produce and direct this film within the next year. 1) For some of our readers who are just now discovering your work, can you tell us a little about your journey so far, and how you got here? My journey to becoming a filmmaker is one of many twists and turns. I’m a late bloomer. I didn’t know what I wanted to be when I grow up. I floundered around for a big part of my 20s and 30s. I came to Hollywood because I wanted to become a star so as to put Laos on the map. What was an ego trip turned into a beautiful spiritual journey once I got to Hollywood. It was almost an accident that I fell into being behind the camera. Being one of the gay rights activists who helped organize an event called The Revolution in West Hollywood auditorium post-Prop 8, I shot a video of attendees doing a Take A Vow clip to fight for marriage equality. I saw that I was quite good at it and I really enjoyed working with people behind the camera and I love connecting with the performers and was somewhat addicted to that real moment of truth when magic happens and I cried during one of the interviews. Then a thought entered my mind that I should study to become a film director. It never occurred to me that that is what I wanted to do. I’d always imagined myself in front of the camera. I didn’t grow up knowing or wanting to be a director or storyteller or anything. I grew up poor as a refugee. I continually exist in a state of exile or non-existence. So part of my identity was to give voice and face to Lao people and I thought the best way to do that was to be visible and being an actor was a natural choice for me. It wasn’t until later that I understood cinema has the power to make a huge impact and that’s what this journey is really about for me, to leave this world a little bit better than I found it. 2) What’s inspired your latest short-film project? Actually, this short-film project is not mine. I’m producing The Black Door for my Film 33 Class at Santa Monica College. My friend Marta Fagerstroem co-wrote and will direct this piece. However, I connect to message of this film about the human cost of regrets and the power of a second chance. We all have regrets and sometimes we wish we can go back in time to change some things about our lives. To me personally, I’ve gone down the wrong path before with my addiction to drugs and alcohol. Today, I’m reclaiming my dreams and you can say that I’m rewriting the script of my life and this is my second act. That’s what inspires me to push forth through the challenges in producing this film. At the end of the day, I know this film will make a huge impact on the audience because it has a great story and a powerful message. 3) What are some of your other projects you hope to develop in the near future? My next project I plan to produce and direct is a short gay drama (based on my true story) titled When I Close My Eyes about Seth and Jorge; two star-crossed lovers whose lives are forever changed–due to anti-gay laws–when a tragic car accident tears their family apart. After completion of When I Close My Eyes, I plan to develop, produce and direct my first feature film script about a new type of Beauty and the Beast–the gay Pretty Woman with a little something extra–titled Lady/boy. 4) Who are some of the film-makers who inspire you? First and foremost, one of my biggest heroes that inspire me each and every day is my film professor, Salvador Carrasco, writer and director of masterpiece The Other Conquest. Besides his brilliance, artistic vision and knowledge of filmmaking being stellar and first rate, when I discovered his film The Other Conquest, it was one of those threshold of revelation moments when I recognized that a pioneer has left a guide post for me to follow in his footsteps. When I saw The Other Conquest, it gave me the inspiration to embark on a journey to author an original film about Laos. Professor Carrasco was instrumental in helping me launch the first shoot of Roses & Red Ants in Richmond, CA. Without him, this project would not have been possible. I consider myself privileged to be studying at SMC Film Program under his tutelage. The other director that inspires me is Oliver Stone because his courage in dealing with controversial issues of the time with social relevance is so rare. When I saw his film Heaven and Earth, it inspired me to become a filmmaker so that I can tell the stories of the Lao during the Vietnam War, which I am now beginning to do with my film Roses & Red Ants. James Cameron is another director whom I look up to and admire. He’s a master storyteller and is so versatile. One of my favorite movies of all time is Avatar because I love how layered and visually pleasing it is. That movie is deep! I want to be that fluent in my command of the visual language and film grammar–to be able to communicate effectively through that medium. 5) When are you most satisfied with your work? When I know it makes real difference in other people’s lives. When it touches someone and they tell me how much it inspires them. 6) What’s been your biggest challenge as a Lao artist? The heartbreak of not having support from the Lao community. 7) Hollywood is often known for demanding compromises in order to satisfy focus groups and test audiences. What have been some of the biggest changes people have asked you to make to your work that you object to? To tone it down, make it more palatable to audiences and to not be so risqué or cater more towards the Western school of thought. 8) What would be your advice to emerging film makers? Acquire all your technical skills, learn the craft, put your nose to the grind and be a worker amongst workers. Be gracious. Suit up. Show up. Remain teachable. Leave your arrogance, cockiness and egos at the door. Film is a collaborative effort. You can’t make a film alone. You need other people. Do your job, whatever the position is, with love. At the end of the day, that’s what matters. It’s all about love. You will make friends, form bonds with colleagues and lay the foundation for future collaborations or job opportunities based on your work ethic, your good attitude and how easy it is to work with you. Lastly, enjoy yourself. Sure, making a film is difficult and it’s hard work but it can be a fun process if you allow it to be. 9) What’s a perspective of the GLBT experience you feel the Lao community understands well, and what don’t we understand well? I think you understand the concept of being the “other” because of the exiled refugee or being Asians in America thing, but I don’t think the Lao community understands that being gay is not a choice. Or that it is not because we have bad karma in the last life so that being gay in this life is some sort of punishment for us. Being gay is a gift. My greatest gift is my gay spirit. 10) What’s an issue you’d really like to see the Lao community get on their radar? I would really like to see the Lao community get involved in the fight for gay equality and see it as a human rights issue. To a certain extent, I would just like to see the Lao community get more involved politically and get organized. Heck, from my trip to the 4th International Lao Studies Conference at the University of Wisconsin at Madison where I challenged Katherine Bowie, the director of the Center for Southeast Asian Studies by putting her on the spot as to whether or not the University of Wisconsin at Madison is on a path to offer the Lao language as a course offering for the academic year as opposed to during the Summer semester. Afterwards, when I approached her privately I asked her why is it that Hmong, who came from Laos is offered as one of the languages for the academic year but Lao isn’t. Katherine told me that the Hmong are extremely organized. So, our task is cut out for us. I would love to see our community organize and advocate as a unified voice.